The ruling National Democratic Alliance (NDA) ally in Bihar, Janata Dal-United, on Thursday said it will oppose the triple talaq Bill in case voting takes place in the Rajya Sabha. JD-U Rajya Sabha MP and party's Bihar unit chief Bashistha Narain Singh told IANS: "The matter is related to a big community. There should be no hurry in bringing the triple talaq Bill in the Rajya Sabha." He said the government should have done more consultation with the stakeholders before rushing the Bill. Asked about his party's stand in case voting takes place in the Upper House, Singh replied, "We will vote against the government." The Opposition is demanding that the Muslim Women (Protection of Rights on Marriage) Bill, 2018, be referred to a select committee of the House. Earlier in the day, Union Law Minister Ravi Shankar Prasad said the government was receptive to any "constructive" suggestions by the Opposition on the Bill. Prasad was responding to IANS query as to why the government was not accepting the Opposition demand to refer the Bill to a select committee of Parliament for scrutiny. "We will decide on the floor of the House when I speak there. We have already improved a lot of things. A select committee is important, but the plight of victim women is equally important. I would appeal to MPs to listen to their plight," Prasad said. 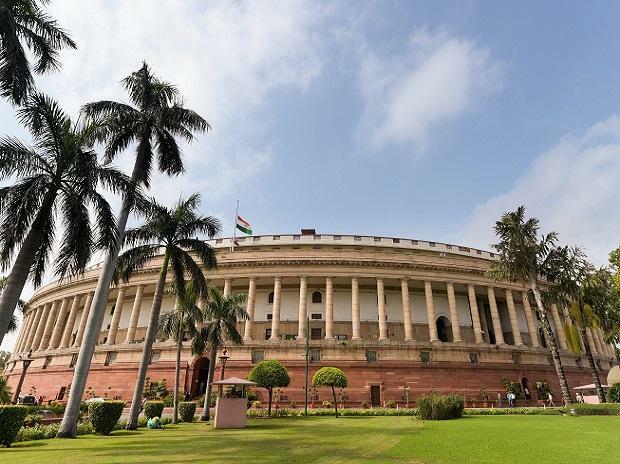 The government had listed the Bill on Monday, but the Rajya Sabha could not take it up because of Opposition's reservations over the proposed legislation and its insistence on sending the Bill to a parliamentary panel. This led to heated exchanges between the Opposition and Treasury Benches and the House was adjourned for the day amid din. Both Opposition and government have been accusing each other of doing politics over the issue ahead of the Lok Sabha elections. During the discussion on the Bill in Lok Sabha, the Opposition, and even the fence sitters such as the AIADMK and BJD, demanded that the Bill be referred to a joint committee. The government did not yield to the demand and got the Bill passed after a four-hour debate. When the Bill came up in the Rajya Sabha on December 31, the Opposition pressed for voting on whether it should be sent to a select committee of the House. The voting could not take place due to din and subsequent adjournment.